Antonin Fourneau, an artist from France has created something really unique and beautiful this time. It is a wall installation that contains thousands of LED lights. The best part of it – it glows when moistened! It doesn’t matter you have a wet paintbrush, a water gun or bare hands, it illuminates the way you touch it. Just imagine all the shiny pictures you can make with it. The creations disperse in few minutes so you have got to be fast! 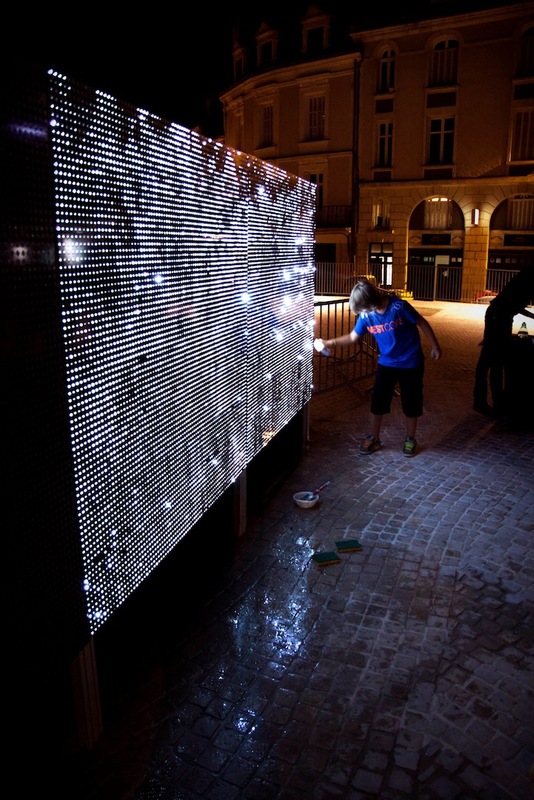 The designer from Digitalarti artlab made the project open to people in Poitiers, France. The wall installation is not just a bright lamp for people at night – it is a huge light for our imagination to unmask.